Hoping that you are now recovered from the devastating revelations in the matter of the Yellow School, I must ask you to brace yourself for disclosures even more formidable about the Black. Do not confuse with the Black Lodge, or the Black Brothers. The terminology is unfortunate, but it wasn't I that did it. Now then, to work! This School being debased by nature, is not so far removed from conventional religion as either the White or the Yellow. Most primitive fetishistic religions may, in fact, be considered fairly faithful representatives of this philosophy. Where animism holds sway, the “medicine-man” personifies this universal evil, and seeks to propitiate it by human sacrifice. The early forms of Judaism, and that type of Christianity which we associate with the Salvation Army, Billy Sunday and the Fundamentalists of the back-blocks of America, are sufficiently simple cases of religion whose essence is the propitiation of a malignant demon. When the light of intelligence begins to dawn dimly through many fogs upon these savages, we reach a second stage. Bold spirits master courage to assert that the evil which is so obvious, is, in some mysterious way, an illusion. They thus throw back the whole complexity of sorrow to a single cause; that is, the arising of the illusion aforesaid. The problem then assumes a final form: How is that illusion to be destroyed. A fairly pure example of the first stage of this type of thought is to be found in the Vedas, of the second stage, in the Upanishads. But the answer to the question, “How is the illusion of evil to be destroyed?”, depends on another point of theory. We may postulate a Parabrahm infinitely good, etc. etc. etc., in which case we consider the destruction of the illusion of evil as the reuniting of the consciousness with Parabrahm. The unfortunate part of this scheme of things is that on seeking to define Parabrahm for the purpose of returning to Its purity, it is discovered sooner or later, that It possesses no qualities at all! In other words, as the farmer said, on being shown the elephant: There ain't no sich animile. It was Gautama Buddha who perceived the inutility of dragging in this imaginary pachyderm. Since our Parabrahm, he said to the Hindu philosophers, is actually nothing, why not stick to or original perception that everything is sorrow, and admit that the only way to escape from sorrow is to arrive at nothingness? We may complete the whole tradition of the Indian peninsula very simply. To the Vedas, the Upanishads, and the Tripitaka of the Buddhists, we have only to add the Tantras of what are called the Vamacharya Schools. Paradoxical as it may sound the Tantrics are in reality the most advanced of the Hindus. Their theory is, in its philosophical ultimatum, a primitive stage of the White tradition, for the essence of the Tantric cults is that by the performance of certain rites of Magick, one does not only escape disaster, but obtains positive benediction. The Tantric is not obsessed by the will-to-die. It is a difficult business, no doubt, to get any fun out of existence; but at least it is not impossible. In other words, he implicitly denies the fundamental proposition that existence is sorrow, and he formulates the essential postulate of the White School of Magick, that means exist by which the universal sorrow (apparent indeed to all ordinary observation) may be unmasked, even as at the initiatory rite of Isis in the ancient days of Khem. There, a Neophyte presenting his mouth, under compulsion, to the pouting buttocks of the Goat of Mendez, found himself caressed by the chaste lips of a virginal priestess of that Goddess at the base of whose shrine is written that No man has lifted her veil. The basis of the Black philosophy is not impossibly mere climate, with its resulting etiolation of the native, its languid, bilious, anaemic, fever-prostrated, emasculation of the soul of man. We accordingly find few true equivalents of this School in Europe. In Greek philosophy there is no trace of any such doctrine. The poison in its foulest and most virulent form only entered with Christianity. * But even so, few men of any real eminence were found to take the axioms of pessimism seriously. Huxley, for all of his harping on the minor key, was an eupeptic Tory. The culmination of the Black philosophy is only found in Schopenhauer, and we may regard him as having been obsessed, on the one hand, by the despair born of that false scepticism which he learnt from the bankruptcy of Hume and Kant; on the other, by the direct obsession of the Buddhist documents to which he was one of the earliest Europeans to obtain access. He was, so to speak, driven to suicide by his own vanity, a curious parallel to Kiriloff in The Possessed of Dostoiewsky. We have, however, examples plentiful enough of religions deriving almost exclusively from the Black tradition in the different stages. We have already mentioned the Evangelical cults with their ferocious devil-god who creates mankind for the pleasure of damning it and forcing it to crawl before him, while he yells with drunken glee over the agony of his only son.† But in the same class, we must place Christian Science, so grotesquely afraid of pain, suffering and evil of every sort, that its dupes can think of nothing better than to bleat denials of its actuality, in the hope of hypnotizing themselves into anaesthesia. Practically no Westerns have reached the third stage of the Black tradition, the Buddhist stage. It is only isolated mystics, and those men who rank themselves with a contemptuous compliance under the standard of the nearest religion, the one which will bother them least in their quest of nothingness, who carry the sorites so far. The documents of the Black School of Magick have already been indicated. They are, for the most part, tedious to the last degree and repulsive to every wholesome-minded man; yet it can hardly be denied that such books as The Dhammapada and Ecclesiastes are masterpieces of literature. They represent the agony of human despair at its utmost degree of intensity, and the melancholy contemplation which is induced by their perusal is not favourable to the inception of that mood which should lead every truly courageous intelligence to the determination to escape from the ferule of the Black Schoolmaster to the outstretched arms of the White Mistress of Life. * Anti-semite writers in Europe—e.g. Weininger—call the Black theory and practice Judaism, while by a curious confusion, the same ideas are called Christian among Anglo-Saxons. In 1936 e.v. the “Nazi” School began to observe this fact. † N.B. Christianity was in its first stage a Jewish Communism, hardly distinguishable from Marxism. It appears that the Levant, from Byzantium and Athens to Damascus, Jerusalem, Alexandria and Cairo, was preoccupied with the formulation of this School in a popular religion, beginning in the days of Augustus Caesar. For there are elements of this central idea in the works of the Gnostics, in certain rituals of what Frazer conveniently calls the Asiatic God, as in the remnants of the Ancient Egyptian cult. The doctrine became abominably corrupted in committee, so to speak, and the result was Christianity, which may be regarded as a White ritual overlaid by a mountainous mass of Black doctrine, like the baby of the mother that King Solomon non-suited. We may define the doctrine of the White School in its purity in very simple terms. Existence is pure joy. Sorrow is caused by failure to perceive this fact; but this is not a misfortune. We have invented sorrow, which does not matter so much after all, in order to have the exuberant satisfaction of getting rid of it. Existence is thus a sacrament. Adepts of the White School regard their brethren of the Black very much as the aristocratic English Sahib (of the days when England was a nation) regarded the benighted Hindu. Nietzsche expresses the philosophy of this School to that extent with considerable accuracy and vigour. The man who denounces life merely defines himself as the man who is unequal to it. The brave man rejoices in giving and taking hard knocks, and the brave man is joyous. The Scandinavian idea of Valhalla may be primitive, but it is manly. A heaven of popular concert, like the Christian; of unconscious repose, like the Buddhist; or even of sensual enjoyment, like the Moslem, excites his nausea and contempt. He understands that the only joy worth while is the joy of continual victory, and victory itself would become as tame as croquet if it were not spiced by equally continual defeat. * This passage appears to be a direct hint at the Formula of the IX° O.T.O., and the preparation of the Elixir of Life. 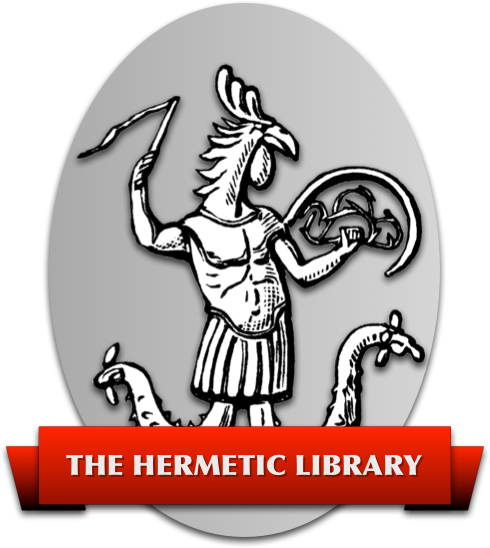 The purest documents of the White School are found in the Sacred Books of Thelema. The doctrine is given in excellent perfection both in the book of the Heart Girt with the Serpent and the book of Lapis Lazuli. A single passage is adequate to explain the formula. 7. Moreover I beheld a vision of a river. There was a little boat thereon; and in it under purple sails was a golden woman, an image of Asi wrought in finest gold. Also the river was of blood, and the boat of shining steel. Then I loved her; and, loosing my girdle, cast myself into the stream. 8. I gathered myself into the little boat, and for many days and nights did I love her, burning beautiful incense before her. 9. Yea! I gave her of the flower of my youth. 10. But she stirred not; only by my kisses I defiled her so that she turned to blackness before me. 11. Yet I worshipped her, and gave her of the flower of my youth. 12. Also it came to pass, that thereby she sickened and corrupted before me. Almost I cast myself into the stream. 13. Then at the end appointed her body was whiter than the milk of the stars, and her lips red and warm as the sunset, and her life of a white heat like the heat of the midmost sun. 14. Then rose she up from the abyss of Ages of Sleep, and her body embraced me. Altogether I melted into her beauty and was glad. 15. The river also became the river of Amrit, and the little boat was the chariot of the flesh, and the sails thereof the blood of the heart that beareth me, that beareth me. A pivot for the universe? Mere changes rung upon a curse? Than all the glamours of the day. That go to make a mortal maid. Alike in evil and in good. And Lais load me with disease. Poor pleasures, bitter bargains, these? Follow your fancy far enough! At last you surely come to God. There is thus in this School no attempt to deny that Nature is, as Zoroaster said, “a fatal and evil force”; but Nature is, so to speak, “the First Matter of the Work”, which is to be transmuted into gold. The joy is a function of our own part in this alchemy. For this reason we find the boldest and most skillful adepts deliberately seeking out the most repugnant elements of Nature that their triumph may be the greater. The formula is evidently one of dauntless courage. It expresses the idea of vitality and manhood in its most dynamic sense. The only religion which corresponds to this School at all is that of ancient Egypt; possibly also that of Chaldea. This is because those religions are Magical religions in the strict technical sense; the religious component of them is negligible. So far as it exists, it exists only for the uninitiate. There are, however, traces of the beginning of the influence of the School in Judaism and in Paganism. There are, too, certain documents of the pure Greek spirit which bear traces of this. It is what they called Theurgy. For all that, the idea is there. The Mass itself is essentially a typical White ritual. Its purpose is to transform crude matter directly into Godhead. It is thus a cardinal operation of Talismanic Magick. But the influence of the Black School has corroded the idea with theological accretions, metaphysical on the one hand, and superstitious on the other, so completely as to mask the Truth altogether. At the Reformation, we find a nugatory attempt to remove the Black element. The Protestant thinkers did their best to get rid of the idea of sin, but it was soon seen that the effort could only lead to antinomianism; and they recognized that this would infallibly destroy the religious idea as such. Mysticism, both Catholic and Protestant, made a further attempt to free Christianity from the dark cloud of iniquity. They joined hands with the Sufis and the Vedantists. But this again led to the mere denial of the reality of evil. Thus drawing away, little by little, from clear appreciation of the facts of Nature, their doctrine became purely theoretical, and faded away, while the thundercloud of sin settled down more heavily than ever. The most important of all the efforts of the White School, from an exoteric point of view, is Islam. In its doctrine there is some slight taint, but much less than in Christianity. It is a virile religion. It looks facts in the face, and admits their horror; but it proposes to overcome them by sheer dint of manhood. Unfortunately, the metaphysical conceptions of its quasi-profane Schools are grossly materialistic. It is only the Pantheism of the Sufis which eliminates the conception of propitiation; and, in practice, the Sufis are too closely allied to the Vedantists to retain hold of reality. That will be all for the present. 1: Crowley is quoting himself again; the following verses are from a poem called “Ovariotomy” which was published in Konx Om Pax – T.S.